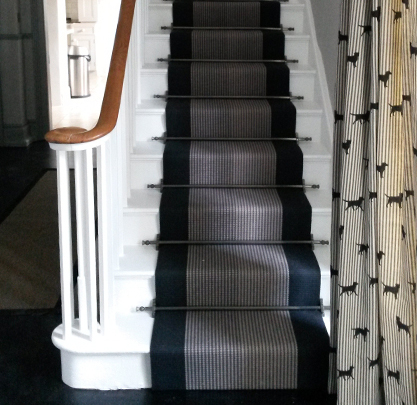 The brief: To supply a contemporary Roger Oates stair carpet which would work in a traditional Georgian setting. Arditti Carpets installed flooring to all the upper floor and fitted the runner to the staircase, to complement the grey walls and black-stained parquet flooring of the hallway. 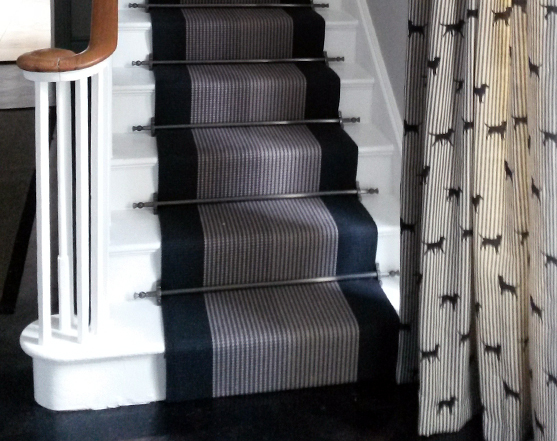 The effect was finished-off using solid brass, pewter-finished stair-rods with a thistle finial.